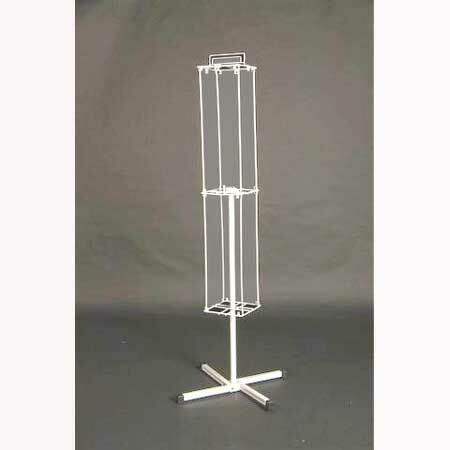 Rotating 4 way wire display unit. Carousel panels supplied seperately. Height 1650mm.